Animal Health and Wellness carries Hill's Science Diet and Prescription Diets. 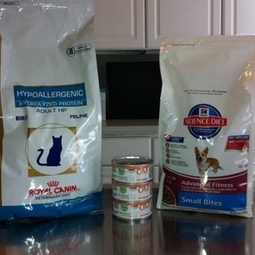 We also offer Royal Canin and Purina by special order. Our diets range from puppy/kitten to mature adult formulas to best fit the needs of your pet through all life stages. Our prescription diets are prescribed for many different reasons including: allergies, diabetes, intestinal issues, kidney or liver disease, urinary issues and weight loss.